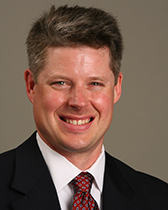 James Hornsten's research focuses on asymmetric information problems in patent licensing and a theoretical analysis of the composition of corporate boards of directors. He also has broad interests in strategic interaction within complex regulatory environments. A veteran of several liberal arts colleges, he enjoys teaching industrial economics, business and government, microeconomics, and first-year writing seminars on current regulatory issues.